Note: The information contained in this document was obtained by our Search Committee via public records and information supplied by fellow classmates and/or the families of the Cavaliers on this list. We apologize if any of this information is erroneous. We cannot totally guarantee the authenticity of all of the listings. 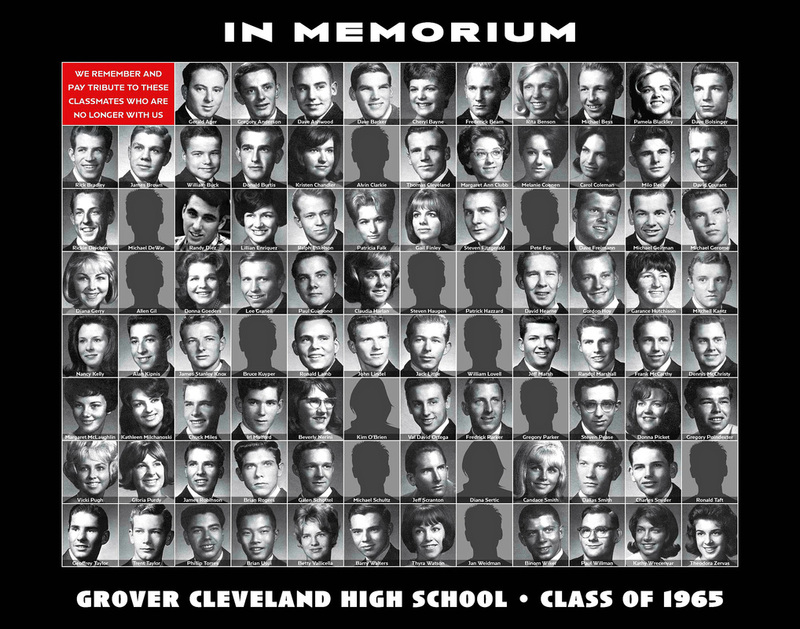 If you have definitive, additional information concerning other deceased Class of 1965 students (or information that is contrary to the the following listings), please contact petesenoff@earthlink.net.